Many of the leads that are generated as a real estate agent come from referrals from past clients. 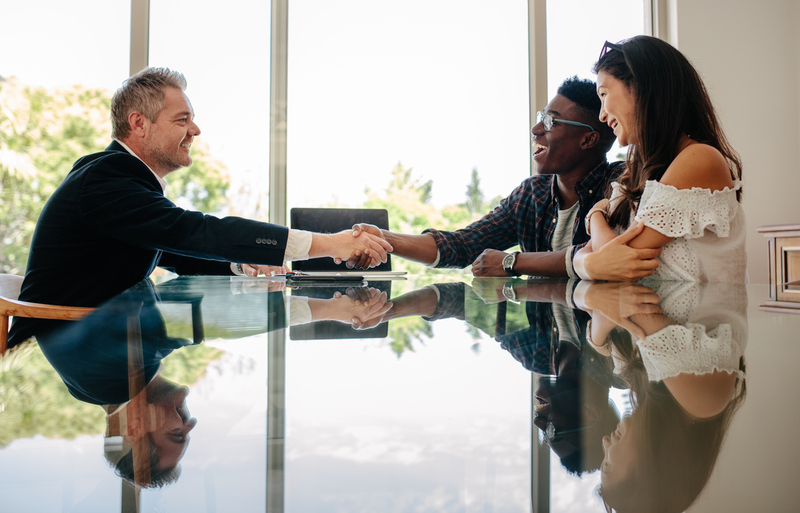 Even though a transaction has completed doesn’t mean that your relationship with the client ends there, especially if you want them to come back to you for their real estate needs and if you want them to refer their friends and family to you. Here are five ways to stay relevant with past clients to win referrals. If you give your clients some type of incentive to refer you, they will be more likely to take the opportunity. Oftentimes your client may not come across anyone who needs a real estate agent for years, which is why it’s crucial to keep the line of communication flowing. A great referral option is to offer discounted home staging. If you don’t have it already, make sure to ask for your client’s cell phone number. This offers a way to connect instantly and will ensure you are in the client’s contact list so if the opportunity arises, they can share your contact information with someone easily. If they only have your business card, it could easily be lost even just a few months after closing the sale. One way to expand the reach of your client referrals is to collect them via your website. Create a system to collect positive client feedback and then display it on the different pages of your website. Collect photos for your website referrals as well to help tell the story about how you helped your client. This will help influence potential clients even more. Adding a testimonial collection into your current sales cycle will help you establish a robust stream of referrals for your site. Attending a real estate event or even a community event that isn’t real estate related can help you build your network and land more referrals. The most recognizable and known agents are the most likely to land leads so it is vital that you build your network in more than just one way. These types of events help you get to know potential clients and leaders in the industry is a more personal way, which will increase the chance for real estate referrals over time. Male real estate broker shaking hands with new property owners while sitting across a table. Property seller congratulating couple on making deal on new house. r sell their home, but you will never know if you don’t ask.